Fall is about here, and I'm loving that soon it will be time for all things pumpkin! I thought I'd mix up this Pumpkin Spice Whipped Body Butter in readiness for the cold chill air and what it does to my skin. This homemade body butter recipe is excellent for helping your skin combat the drying conditions of Fall and Winter. We've already had some evenings dip well into the 40's, so the cold is on its way soon! I'll be ready, though! This body butter is some pretty divine stuff! Here's how to make whipped pumpkin body butter you'll just love! It's a non-greasy moisturizer. The fatty acids contained in the oil sink deeply into your skin. 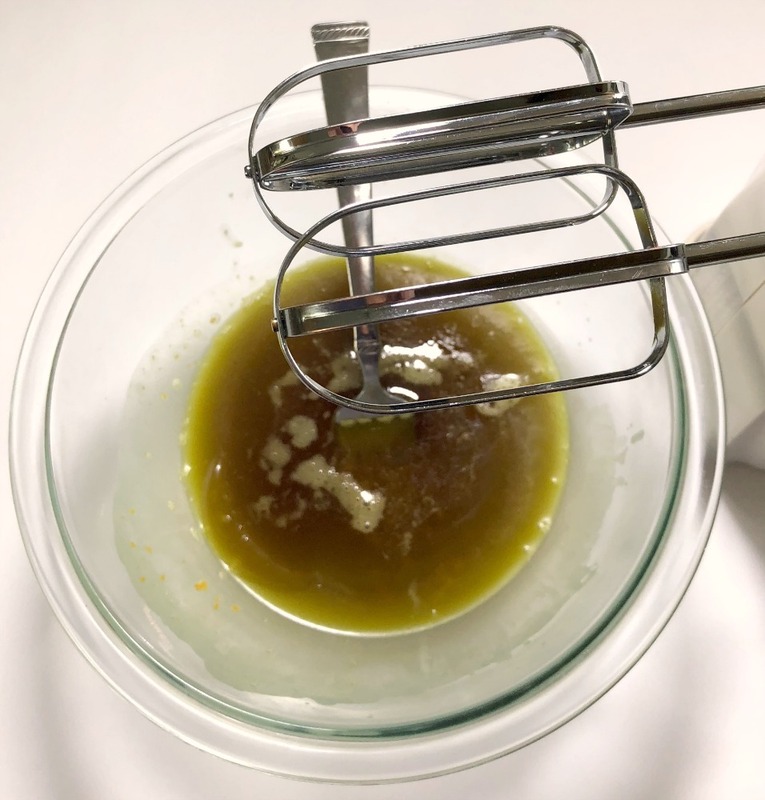 You can find out more about the benefits of pumpkin in this article: How to Make Pumpkin Spice Sugar Scrub--an incredible moisturizing scrub! Click to Get the Newsletter & Never Miss a Thing! Here are the main ingredients: Shea butter, Pumpkin Seed Oil, Cocoa Butter, and Pumpkin Puree'. This is so easy to make! This recipe yields a nice 8 ounce cup of body butter. It's perfect for that size Mason jelly jar, any cute jar with a lid, or a craft jar. If you plan to give this as a gift, it's easy to add burlap or bows for a creative touch. One quick note about gifting and using this butter: Because it contains pumpkin puree, it will mold after a week or so. You can keep it refrigerated, and it may last up to two weeks. This is because I did not include any preservatives, as I never use them. Most of them contain chemicals that are hormone disruptors. If you want to add a natural preservative, you could add a bit of rosemary essential oil (but that may smell funky with the spices). Vitamin E oil will also help extend the life. You just need a few drops. Bottom line: if you plan to give this away, be sure you tell your friend about the short shelf life! Alternatively, you could leave out the pumpkin puree all together, and add a tablespoon extra of almond oil to make up for it. Then you wouldn’t have to worry about preservatives at all, as there would be no moisture in the butter! You can adjust the essential oils for your own tastes, though. NOTE 1: Keep in mind that some people have a sensitivity to Cinnamon essential oil. You may want to adjust that one down. Ginger is warming and lovely for your skin. NOTE 2: You could substitute the Shea Butter for Coconut Oil, if you like. I happen to be very allergic to coconut oil on my skin (it makes me itch and actually dries out my skin like crazy), so I never use it in my skin care recipes. **The links above are for Amazon, but I love to get my essential oils at Starwest Botanicals. They also carry a great selection of spices, herbs, and body care items. IMPORTANT NOTE ABOUT PRESERVATIVES: See the above comments right before the ingredients list! Here are the ingredients with the melted butters along with everything else. Step 1) Measure out your shea butter and cocoa butter. Melt them together in a double boiler. I just used a pint Mason jar on low heat. Step 2) Pour the melted shea & cocoa butter into a bowl. Add your pumpkin seed oil, pumpkin puree, and essential oils. Stir well. Step 3) Refrigerate this mixture for about 30 minutes or so, until the butters just barely start to set back up again. After a bit of refrigeration, you'll see the oils start to set up on the edges. It's time to whip it up! Step 4) At the point the butters are starting to set up, mix using a hand blender. It doesn't take very long! I over-mixed mine a bit, which gives it a kind of crumbly appearance. If I had stopped seconds sooner, it would have looked softer. Either way, it works just fine, though. Step 5) Spoon into a cute jar. Give as a gift or enjoy for yourself! NOTE: This body butter does not contain any preservatives. You can expect it to last at least a week at room temperature, however, if you refrigerate it, it will last much longer. A little tiny bit goes a very very long way! I love using this all over my body, including my face. It does some seriously good things to your skin. It's also great for those rough, cracked areas, like cuticles, heels, and elbows. I over-whipped it a bit, here. So just stop and test it out often in the whipping time. It doesn't take very long for it to fluff right up. If you wanted to give a great Fall gift set, you could create a neat pumpkin spice gift basket using my handmade Pumpkin Spice Soap, this whipped body butter, and my Pumpkin Spice Sugar Scrub. You could even add in a tiny jar of the Pumpkin Seed Oil, just because it's a unique and wonderful oil. Put them all in a darling Fall basket with cute ribbons and some burlap....and there you go! Salt or Sugar? Which Makes the Best Scrub? Leave comments in the comments section! I love hearing from you! P.S. Remember to sign up for our newsletter! You'll never miss a thing, and I have three free eBooks for you!